There are many sickening personalities on American network television these days, but my least favorite is Michael Strahan (except the sweathogs on The View), the pro football player turned pandering, patronizing co-host of ABC’s Good Morning America. 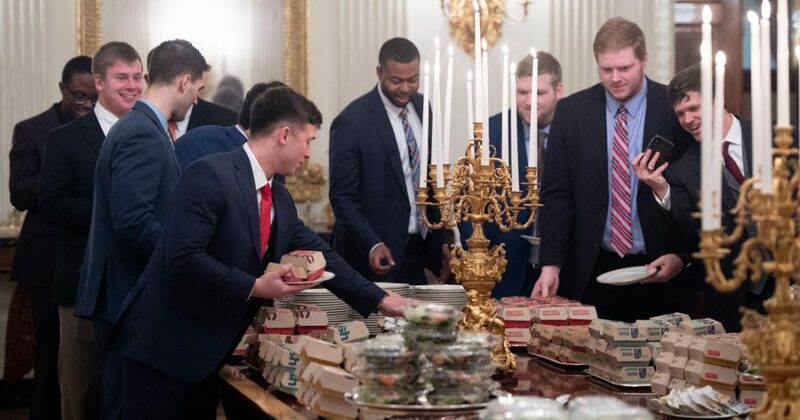 Before the talented youngsters on the Clemson football team had time to digest the burgers that President Trump served them, the liberal weenies in the mainstream media and Hollywood took to Twitter to slam the president for his honest and thoughtful gesture, Strahan leading the way to offer the team, on the air, what he considers a far superior meal. In a shameless attempt to upstage President Trump, Strahan offered the team what I reckon he considers REAL food, lobster and caviar, the obvious message being that the meal President Trump served was not fit for humans. Newsflash, Mikey! Dabo Swinney did not take his national champion Clemson Tigers to the White House for a world-class dining experience. He took them there to meet and be congratulated by the President of the United States. It’s an honor true American champions cherish and never forget. The burgers were a bonus. Furthermore, real men eat burgers and fries, not lobster and caviar. But, how the hell would you know that? Yeah, they didn't want food. What those boys needed was an Asian fairy prancing around the room. Right, George? From the QB of Clemson…unfiltered. Now lighten up and let a good thing be a good thing. Look at the smiles. As an Alabama fan I congratulate you on your win and as a mom of three boys in their 20’s, I know you loved the fast food. You will always remember being guests in the WH and I’m sorry this has become both political and a mockery. You and your team enjoy your celebration! LOL! Screwing with liberal weenies on Twitter is one of life’s simplest, yet greatest pleasures. 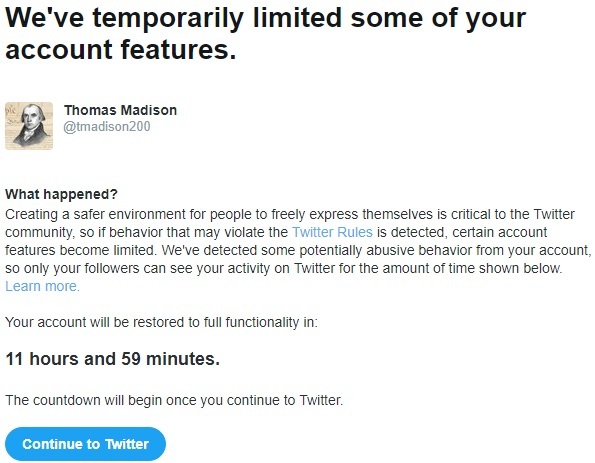 They always go crying to the moderators and I get punished. I love it!….